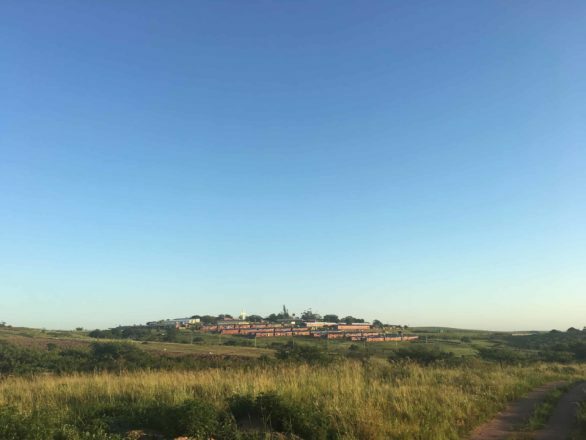 The story of LIV Village, and indirectly also LIV2Run, started with a dream given to Tich Smith in 1997, to build a village for orphan and vulnerable children where they will have a roof over their heads, food to eat, a mother who loves them and where they will come to know God as their Father in heaven. 21 years later, LIV stands firmly and is going from strength to strength – all to the glory of God. Here, lives are being rescued and restored, leaders are being raised and stars are being released in many shapes and forms. Over the past seven years many experts in their field, have joined the LIV family to share their knowledge and invest in the lives of the LIV children. One such person is Lindi Meyer – a runner and triathlete with a passion to uplift children through running. Lindi made the SA Triathlon Team for age groupers (this is the non-elite division) in 2011 and 2012. She was also the female SA Biathlon champ in 2017 for the age group 27-39. She joined LIV in 2014 and started a running club (LIV2Run) for all the kids and moms on the village. “Running is a safe and healthy vehicle to create a space for people to experience God. It allows us to reach much more people and create hope and opportunity in rural spaces,” Lindi says. At the moment LIV2Run operates just on the village but in the future the aim is to open the club up to surrounding communities. Through LIV2Run, the children are exposed to Parkrun, cross country, trail running, road running and track athletics. Attention is also given to strength and conditioning as well as mental preparation and training for specific races or goals. Many success stories have already been written and even though they may not seem extreme to the outside world, at LIV we celebrate each and every small victory towards healing and restoration. Like the 7yr old boy who could barely run 100meters without collapsing in exhaustion due to malnutrition and neglect who finished his very first 5km fun run recently. These stories are worth celebrating. 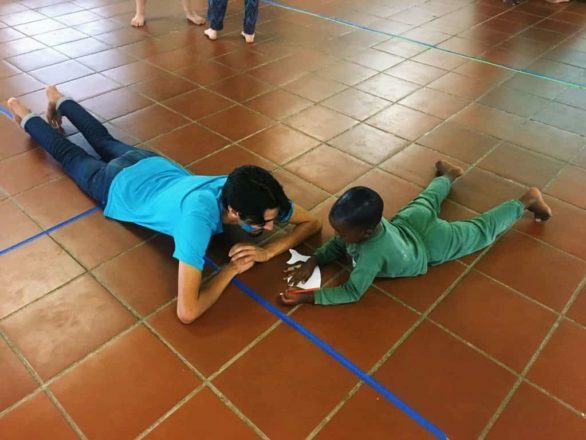 Lindi keeps a very close eye on the children as they train to make sure she doesn’t miss out on any hidden talents. A while ago she spotted major potential in Brian (18); an older boy who started running in 2015. Lindi saw that he is a strong runner who is able to start fast, maintain his speed and finish fast. With the permission of LIV leadership, she started a one on one training program with him, with the goal of racing at the Two Oceans 24km Trail in Cape Town. This program commenced in January 2018 with the race taking place on 30 March 2018. 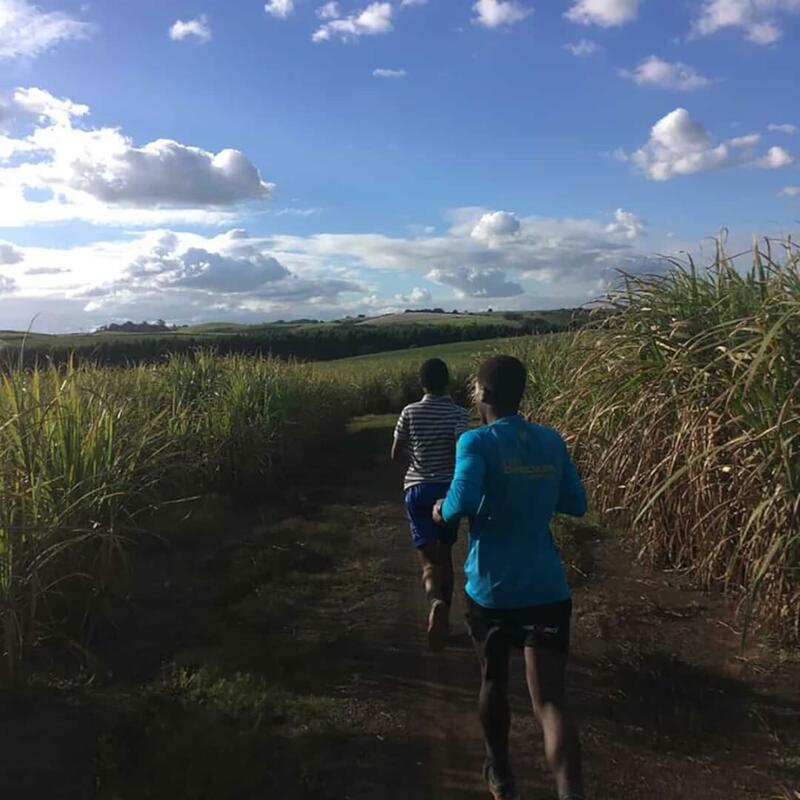 Training took place on the village with runs down to the Hazelmere dam, Sugar Rush Park, Dolphins time trial in Salt Rock and racing at the various KZN Trail Races around KZN over the weekends. KZN Trail Running are one of the many partners who come alongside LIV2Run and offer our development athletes free entries into all their events. City Logistics sponsored the LIV2Run club clothes and this has brought a tangible sense of belonging to the team. Brian has natural talent. He is a born runner with a passion that is so visible whenever he is doing what he loves most. Lindi managed to get sponsors who donated the compulsory kit for the race, clothing and plane tickets to Cape Town. Brian did an amazing job amidst very misty and wet conditions and finished 1stin his age group and 43th overall, in an amazing 2hrs52mins11sec. Brian’s short-term goal is to become the best he can be. He uses faster runners to become faster by chasing them to increase his own speed. 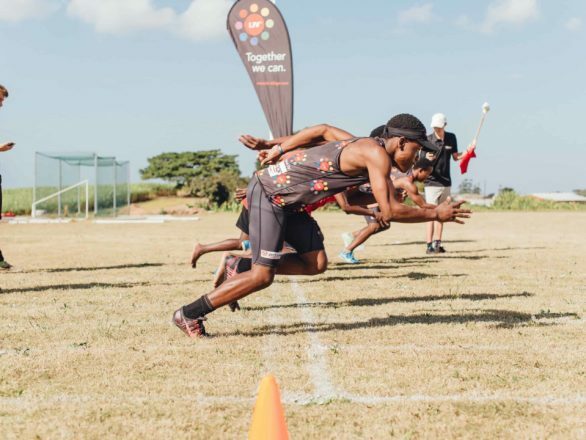 At the Deloitte Challenge in March 2018, he finished the 21km in 1hr17mins21sec and came first in his age group and 20thoverall (out of 2636 runners) and was the first junior at the Checkout half marathon at Kings Park very recently. “I have watched Brian grow from a teenager into a gentleman who knows who he is and Whose he is. Through intentional training and allowing him to explore his talent and see what he is capable of, LIV2Run has given him hope for a future. 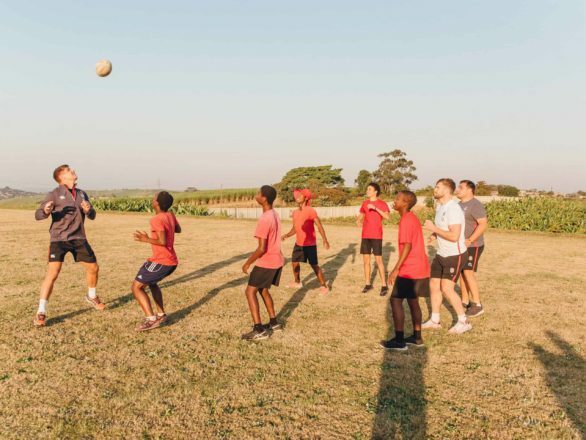 God is in the midst of everything we do at LIV and equipping and releasing these children into the world as confident individuals, is close to our Father’s heart,” says Lindi when she speaks about Brian. It is always so amazing to see what intentional loving and a stable environment can do for children who have been through a lot. LIV creates such an environment and exists to launch new generation Christian leaders into society. Brian is only one of the talented runners that are being mentored by Lindi at the moment. There are some very exciting partnerships in the pipeline, which will open many doors for LIV2Run in the world of trail running. Watch this space! The journey for Brian (and a few other runners) has just started. Embark with us on it and be part of changing lives and releasing stars! To find out more, please contact Lindi at run@liv-village.com.